Hustle’s Toxic $.02: When I saw this trade go down via email notification, I wasn’t aware of the financials so I asked Bailey on slack and his response was a classic ” $2, assuming he read my note.” This is as good a time as any to remind people to read the notes in trade propsals. Before I get down to #analysis, it should be noted this was a trade for $2. It’s less than .5% of someone’s auction budget, so even if Neal changes his mind and doesn’t even keep Allen… no real harm was done. This is very obviously a minor trade. For Bailey: Oh what a difference a year makes. It was just last offseason when I was flooding everyone with offers of Adam Wainwright and Yordano Ventura (RIP) for minuscule budget amounts like this one. I was told by both commissioners via conversation and trade reviews that it made no sense to sell someone for so cheap. “You should just throw them back in to see if they go for more.” Fast forward a year later and Bailey has earned his first Hustle Merit Badge(TM). Congrats! Bailey gets $2 for a guy he wasn’t going to keep and probably feels comfortable with someone else having for $9. 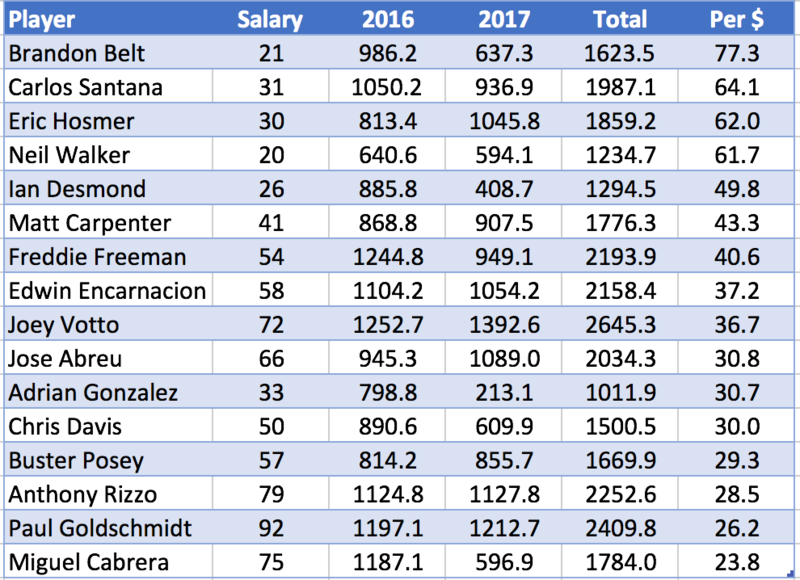 People keep handing money over to Bailey at the rate that he will somehow keep $500 worth of players and be in on Ohtani, not really but getting closer. Including the $11 he has invested in Allen for 2018 ($2 to Bailey and a $9 price), Neal also has Devenski ($9) and Jansen ($14). To keep all 3 would cost him $34. Expensive relievers aren’t my thing and I don’t really know how to judge Allen’s worth in general for this league let alone with the new scoring system. 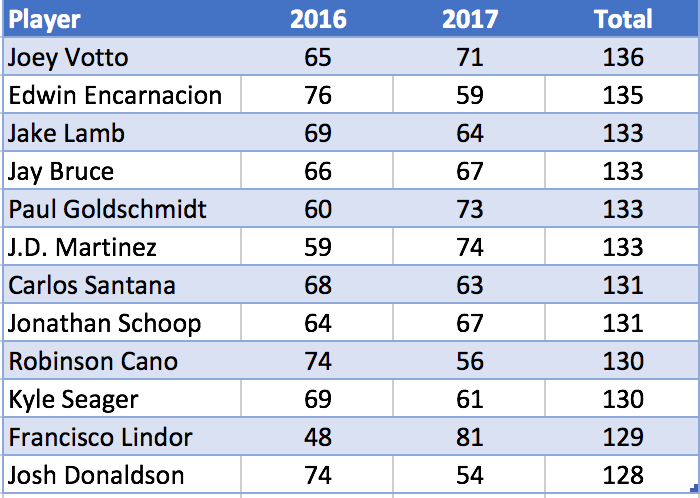 I personally rather not invest in relievers at the expense of starters or hitters, but I could see why Neal might be inclined to have 3 of the best relievers in the game…. lineup setting. It was about a month ago when Dustin Pedroia came up in a slack conversation and I joked about how he wasn’t in Neal’s lineup very often, he assured me he was. I had to go look at the tape. Sure enough, despite being one of IL4W’s best hitters on a ppg basis, Dustin Pedroia sat on the bench for a staggering 25% of his PAs. In a daily baseball league, you’re just not giving yourself a chance if you’re not starting your best players. By having 3 of the best relievers in the game, Neal will hopefully “set it and forget it” all year unless injured. Not having to deal with picking up or playing matchups with relievers is a huge time saver. It’s going to cost him 6-7% of his budget to have the luxury of not dealing with relievers, but for some teams it may be worth it. I also think having an elite bullpen raises some interesting possibilities if your season goes south. If IL4W is out of it by the trade deadline, does a contending team who barely spent on a bullpen buy a whole bullpen from Neal? I don’t think it would be crazy. In real baseball we see a team sell their best reliever all the time, but it would be really exciting to see a team sell 3 elite relievers to one team. Just a reminder to everyone in the league, our trade deadline this year is Sunday, August 7, at 11:59 PM EDT.